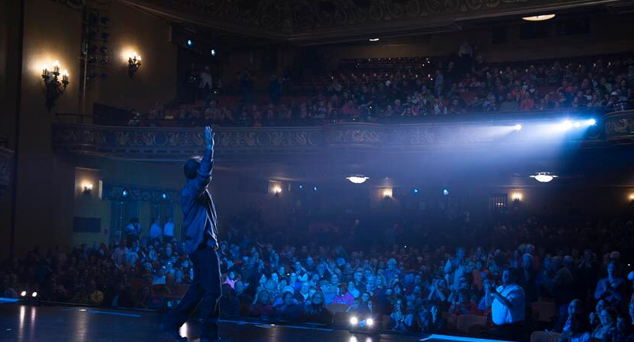 "Amazing feats of magic to a delighted capacity crowd." "The show was nonstop fun." 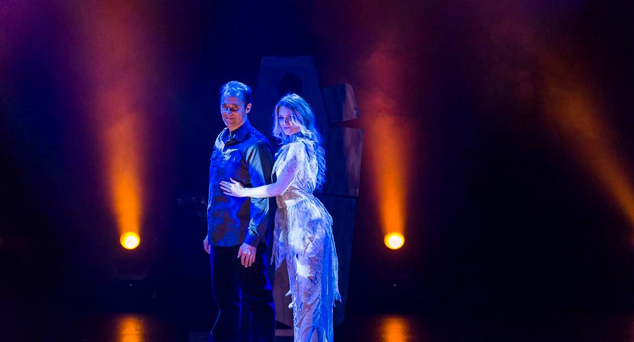 "Eerie music, colored lights and dense fog filled the theater throughout this delightfully choreographed performance." "Delights and mystifies the sold-out crowd!" 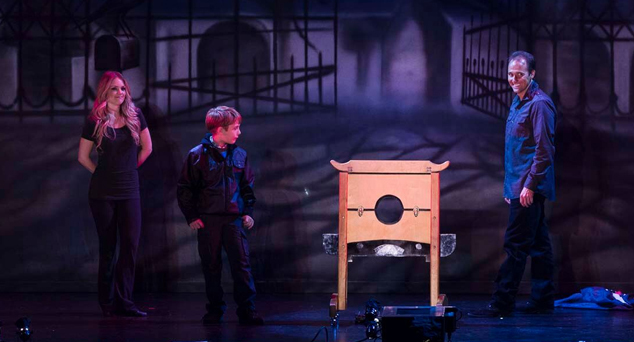 "The show had just the right amount of spookiness as not to send the little one's running in terror." "The adults and children seemed to be thoroughly entertained from the first illusion to the last." 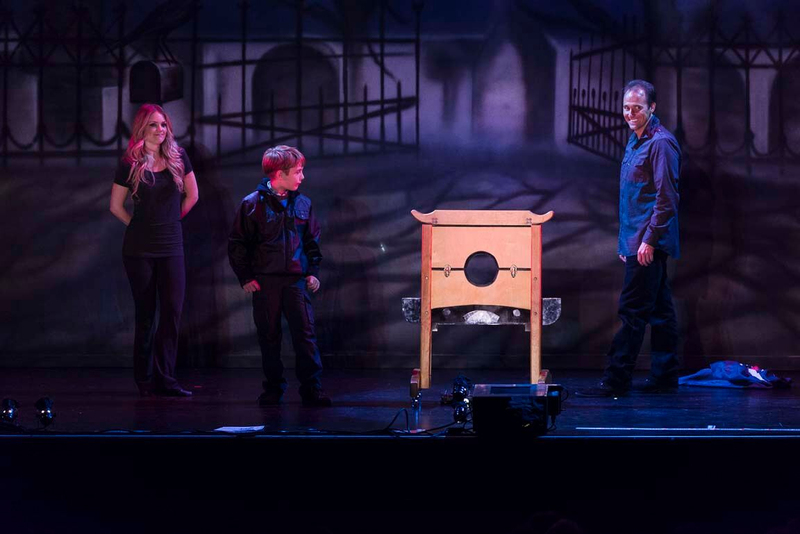 "Haunted Illusions was more fun than a barrel full of ghosts, goblins, and ghouls. 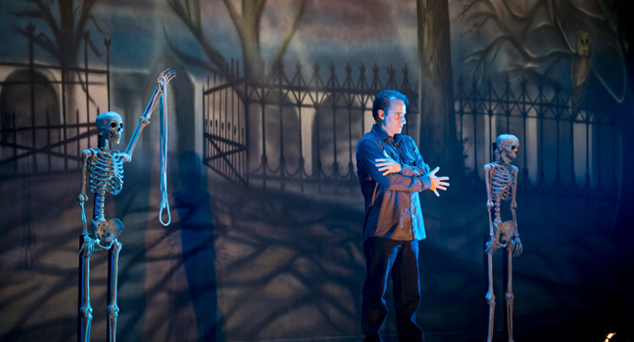 David Caserta is one of the most mystifying magicians on stage today. The perfect family show for Halloween!" David performed several illusions on international tv special: "Internacional Festival del Humor" filmed in Bogota, Columbia. David performed his original illusion on Network Television! David cut himself in half on "Penn and Teller: Fool US" in July, 2017 on the CW network. 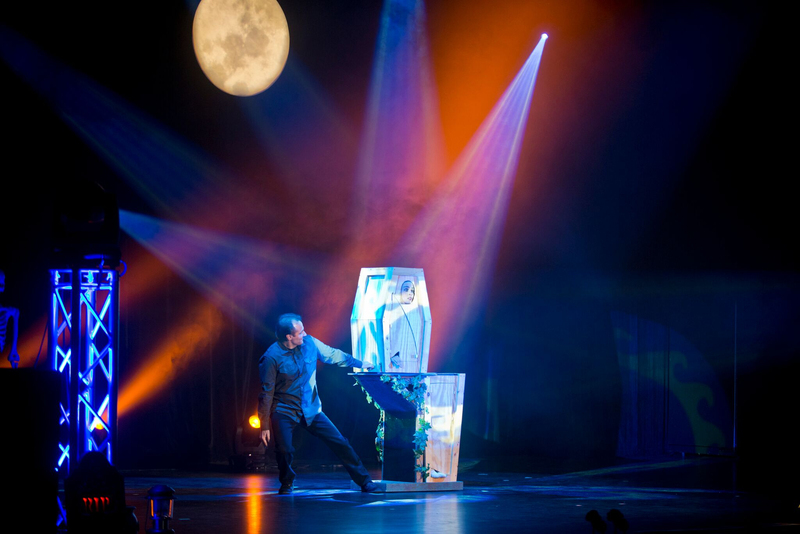 Treat your family to an evening of mind-blowing magic and comedy that gets the whole audience into the act. 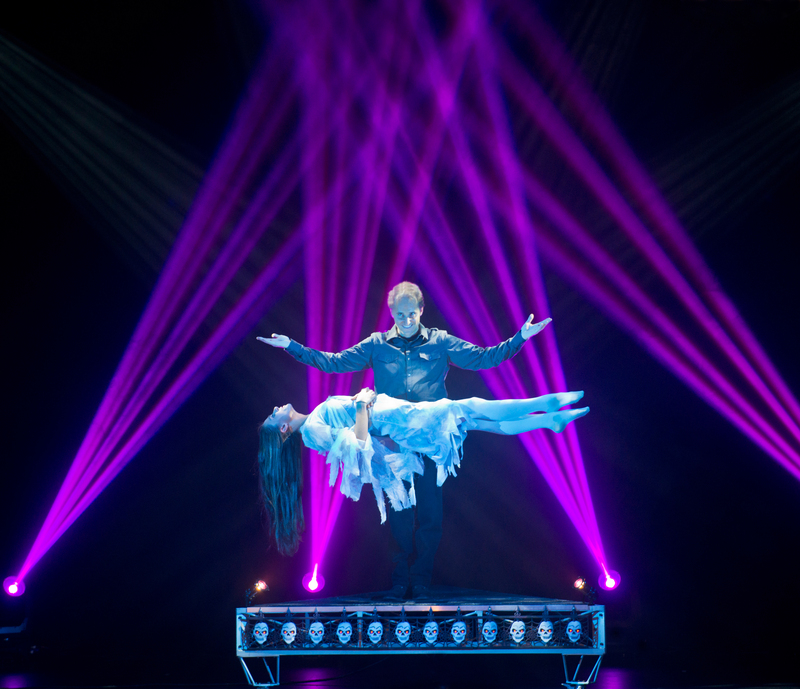 You'll be stunned and amazed as master illusionist David Caserta has people levitating, disappearing, and reappearing right before your eyes. 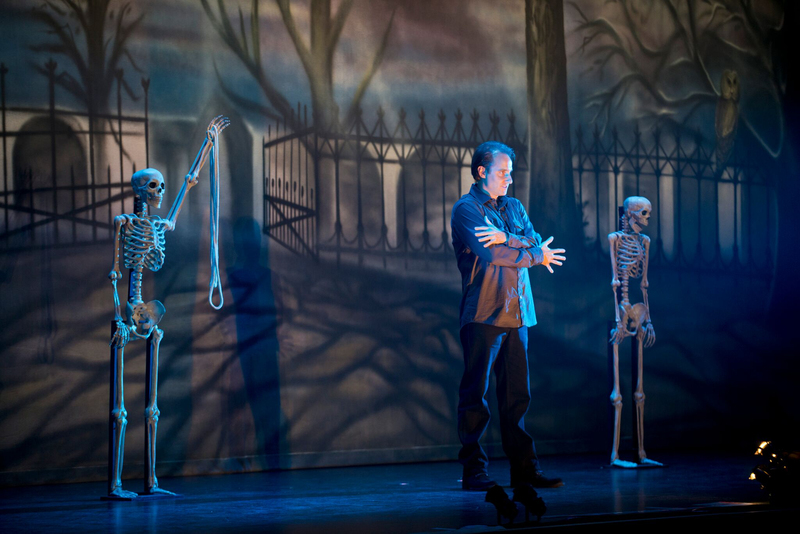 You will witness never before seen illusions that have been created just for this show. 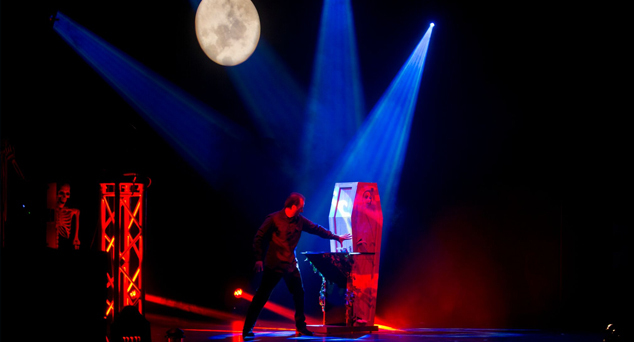 Families will thrill, laugh and possibly vanish from sight at a magic spectacular like no other. 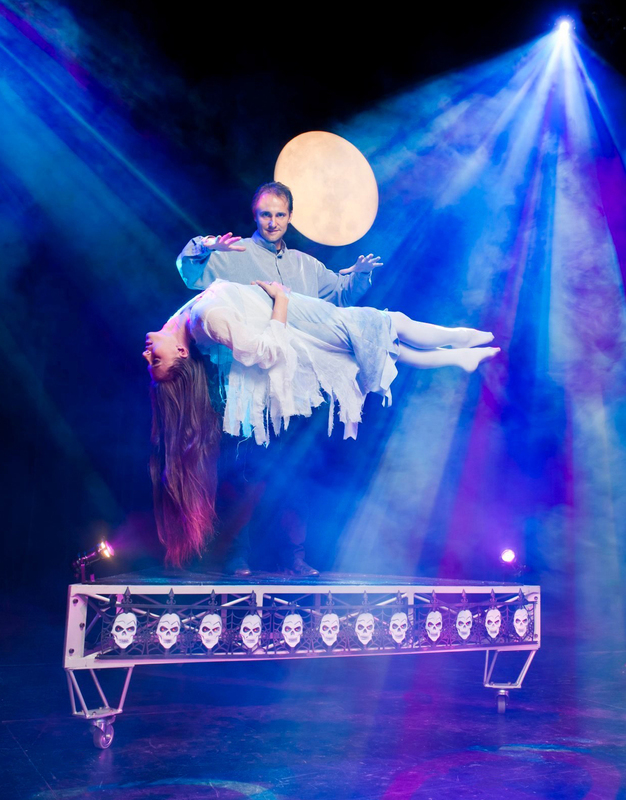 What better way to celebrate Halloween than with an incredible night of magic - at the Halloween spectacular Haunted Illusions! There will be tons of tricks and more than a few treats. 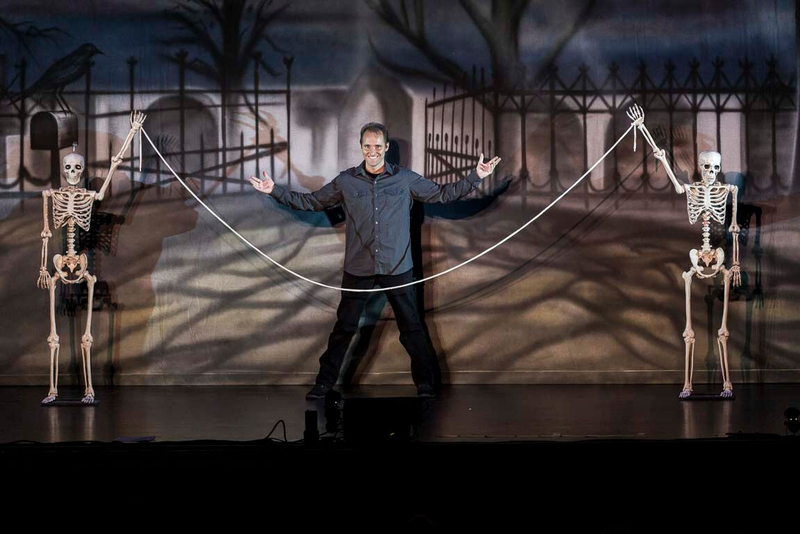 You and your entire family will be captivated with dazzling spells, uproarious comedy and audience participation that gets all the ghosts, ghouls, and goblins into the act! 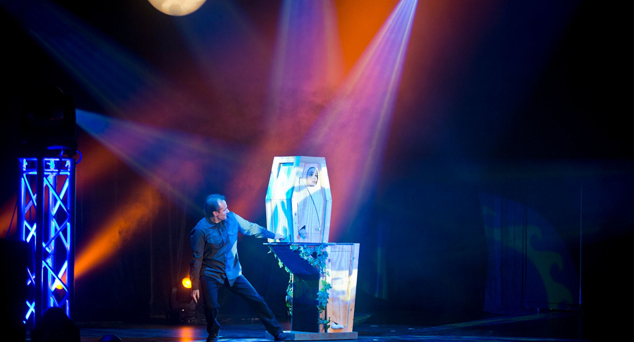 David Caserta is one of the top touring illusionists in the country. 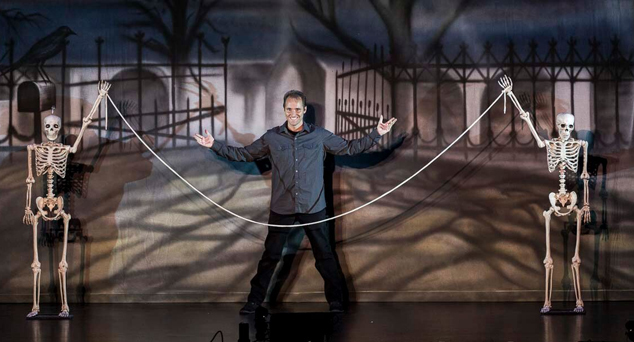 As seen on NBC's "America's Got Talent", CW's "Penn and Teller Fool Us", and International Television, David invents and performs many original illusions that you will not see anywhere else. 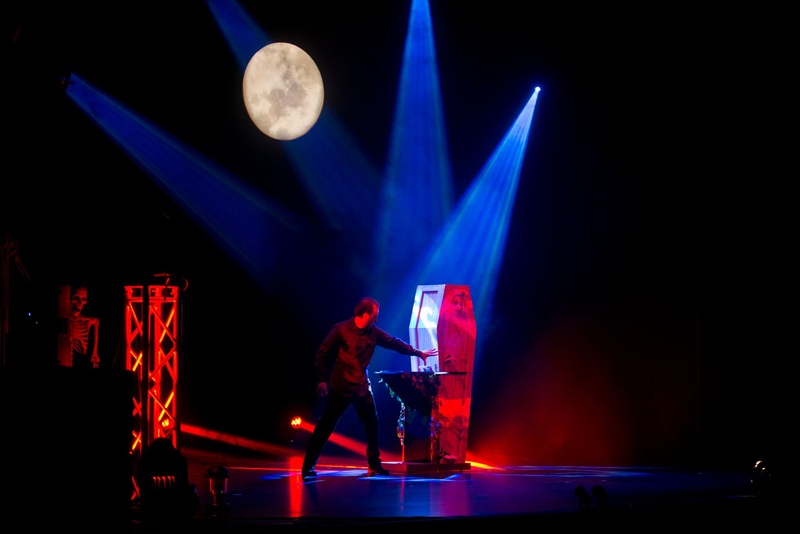 Incredible state of the art lighting featuring moving lights, themed music soundtrack, pyro smoke effects, and only the best and latest in illusion technology, this is a magic spectacular like nothing else on tour today! Audiences and critics agree, this is one show not to be missed! Get your tickets now, before they disappear!!!!! 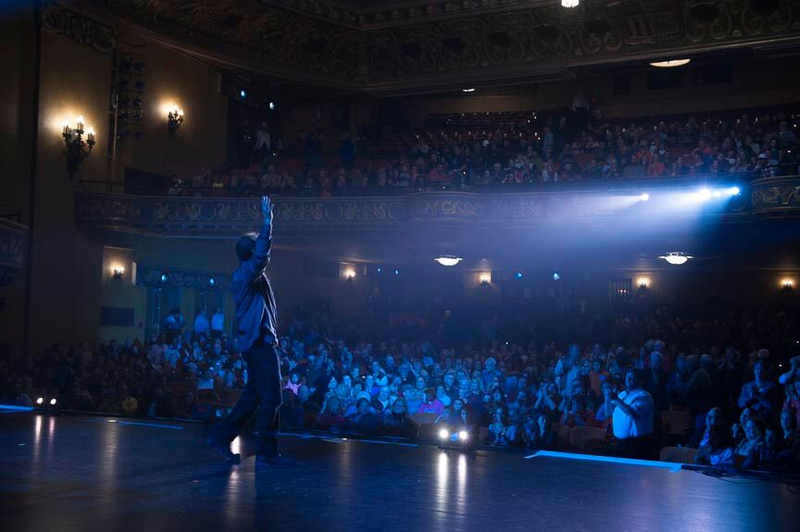 David performs all over the world and listed here are just a few of his upcoming shows that are open to the public. We are currently booking the dates for our illusion tour in 2018-2020. Check back for showtimes and locations. We thank you for your interest in our shows and David looks forward to seeing you!